Mount Fuji is the highest mountain in Japan at 3,776.24 m (12,389 ft). 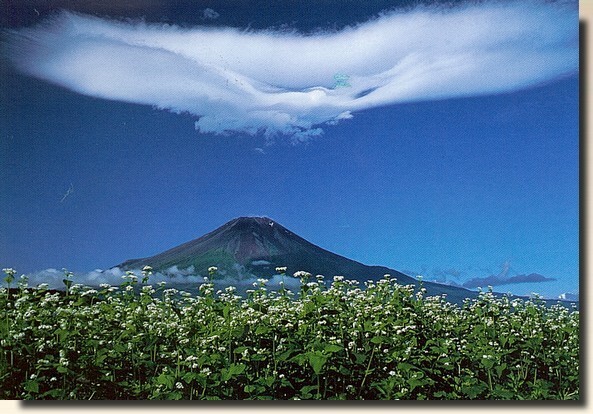 An active stratovolcano that last erupted in 1707–08, Mount Fuji lies about 100 kilometres (60 miles) south-west of Tokyo, and can be seen from there on a clear day. Mount Fuji's exceptionally symmetrical cone is a well-known symbol of Japan and it is frequently depicted in art and photographs, as well as visited by sightseers and climbers. It is one of Japan's "Three Holy Mountains" ) along with Mount Tate and Mount Haku.